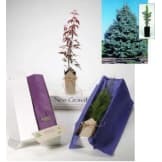 When you send someone a New Growth Tree Gift Box, the experience begins when they receive the specially-designed package, and open it to reveal your personal message and a beautiful living tree. 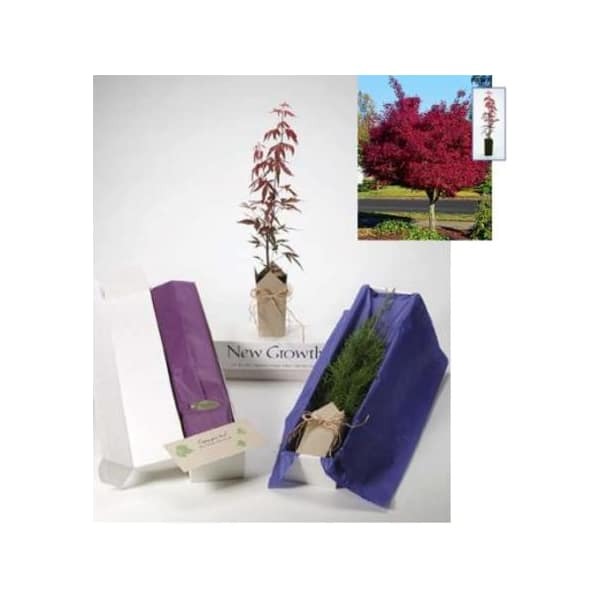 • Delicate cut, brilliant ruby-red leaves in spring time, giving way to darker maroon then purple as summer progresses. Brighter in sun. A small landscape tree used in more formal gardens and courtyards. Perfect for large deck planters.